The watch manufacturing has in Europe a century old tradition and is the epitome of elegance, quality and precision. The production of precise serial components is carried out under the highest quality standards. Existing technologies for micro-machining already encounter the limits of feasibility. An additional individualization is only possible under enormous costs. 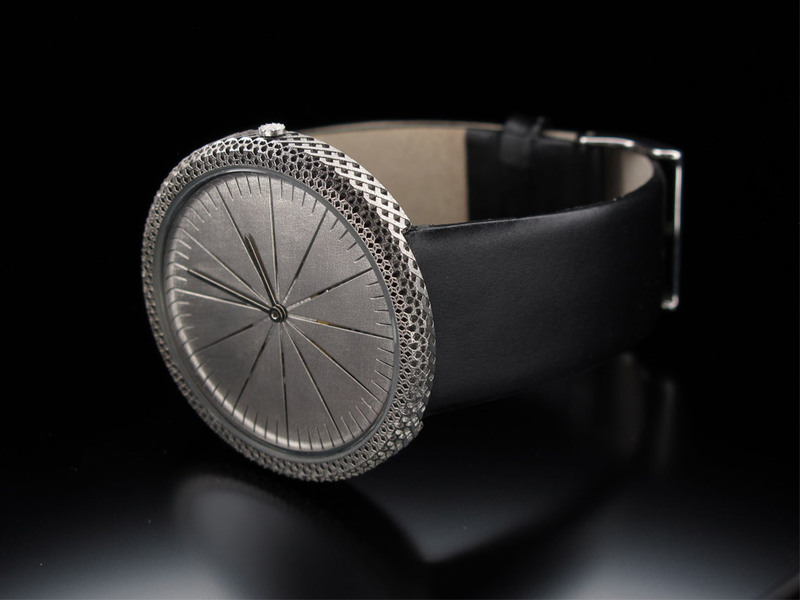 Example: Watch with individualized frame, watch face and crown wheel manufactured by Micro Laser Sintering; material 1.4404 (316L). 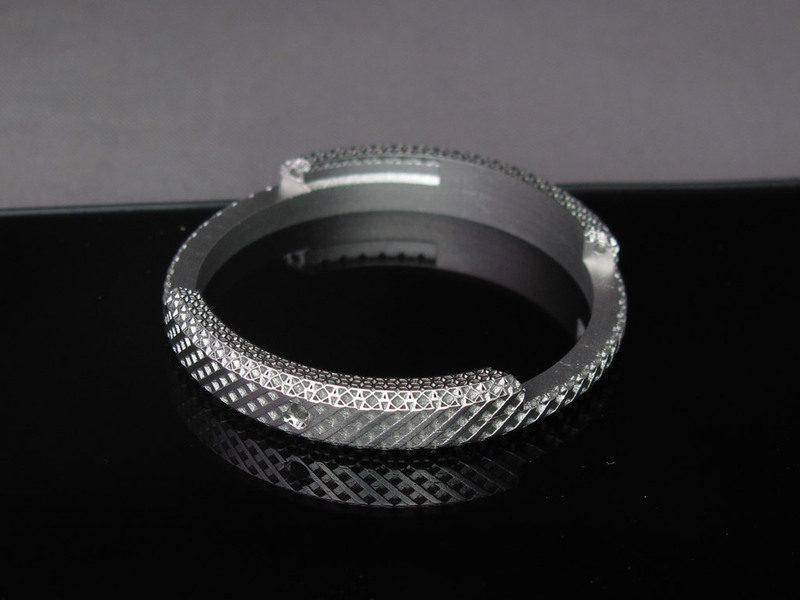 3D MicroPrint GmbH carried out a feasibility study to examine the production of selected components of a watch with Micro Laser Sintering. 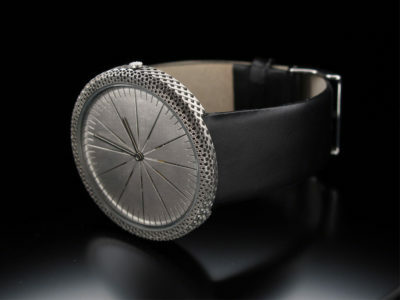 The two-part housing, the dial and the crown wheel were process-adapted and light weighted designed and finally built. It was found out that Micro Laser Sintering opens up completely new design possibilities for part design. 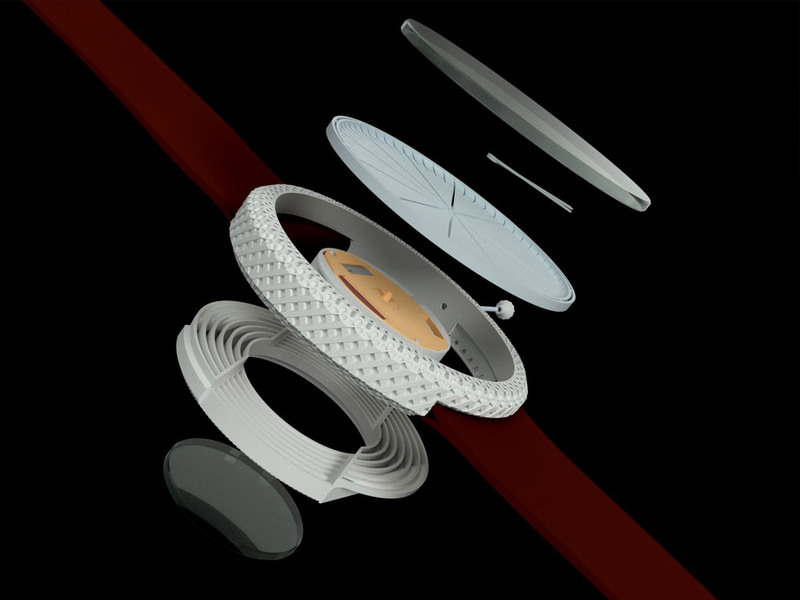 Also there is the chance to manufacture unique components and individualized small batches cost effective. Especially in the procurement of spare parts that are no longer available at the market, the machines of 3D MicroPrint GmbH offer an alternative.